Canadian debit network Interac has unveiled its own token generation and management service that will enable financial institutions, merchants and its partners to build and manage secure digital payment experiences with support for tokenized digital debit transactions on any device or mobile wallet. The Interac Token Service Provider (TSP) has been developed with IBM, mobile payment specialist Bell ID and payment solutions provider Everlink. “The Interac TSP is capable of supporting financial institutions and mobile technology providers with secure digital products at scale,” Interac says. “The Interac TSP represents an ‘open’ mobile debit payment solution with device-agnostic technology that can be implemented on any mobile device that supports it. 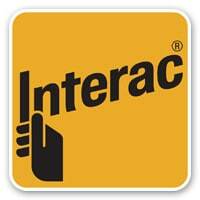 “Transactions through the Interac TSP use the existing functionality and security of Interac Flash contactless debit technology. Merchants benefit from real-time transactions — payment is received immediately and chargebacks never occur. It is also one of the lowest-cost payment acceptance options for merchants.